BUCK INSTITUTE FOR RESEARCH ON AGINGCellular senescence, the process by which cells cease to divide in response to stress, may be a double-edged sword. 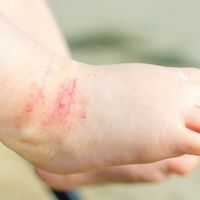 In addition to being an important anti-cancer mechanism, recent studies show it may also contribute to age-related tissue damage and inflammation. 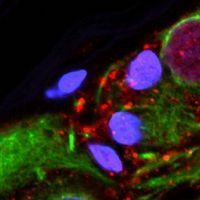 A study published in Cell Reports yesterday (January 23) suggests that cellular senescence could be a factor underlying neurodegeneration in sporadic forms of Parkinson’s disease. 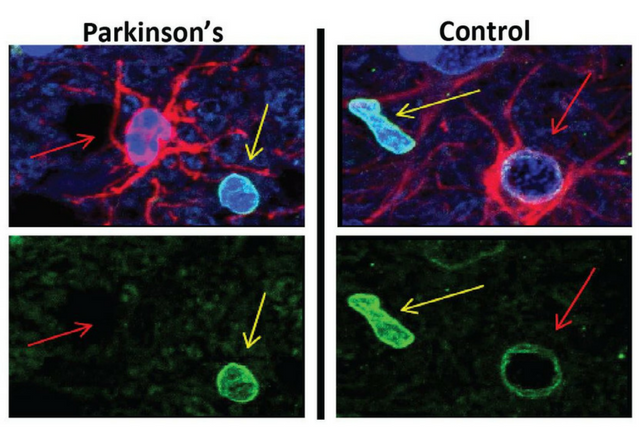 Cellular senescence may be the basis by which the herbicide and neurotoxin paraquat, which has been previously linked to Parkinson’s disease, can contribute to the disease, the researchers propose. The vast majority of Parkinson’s disease cases are sporadic, rather than inherited, and caused by a combination of environmental and genetic factors. Julie Andersen, a neuroscientist at the Buck Institute for Research on Aging, says her laboratory decided to focus on paraquat based on epidemiological evidence linking it to the condition in humans and on lab work showing that mice treated with the chemical suffer a loss of dopaminergic neurons in the same region that is affected in humans. It is an acutely toxic chemical—capable of causing death—and was banned in the E.U. in 2007 over safety concerns, but is still used extensively by American farmworkers. Paraquat’s links to Parkinson’s disease are explained by its ability to induce oxidative stress, to which the dopaminergic neurons that die in the disease are especially vulnerable. In a series of experiments, Andersen and her colleagues show that the chemical can also trigger cellular senescence in human astrocytes in culture, an abundant type of glial cell in the brain. Neurons are typically post-mitotic, but astrocytes can undergo replication in response to injury, explains Andersen, and as animals age, senescent astrocytes may accumulate. The senescence caused by paraquat led the astrocytes to secrete certain proteins—including pro-inflammatory factors—capable of damaging dopaminergic cells, the main neurons that die in Parkinson’s disease. The researchers also look a close look at the brain region most affected by the disease—the substantia nigra—in postmortem brain samples of patients. 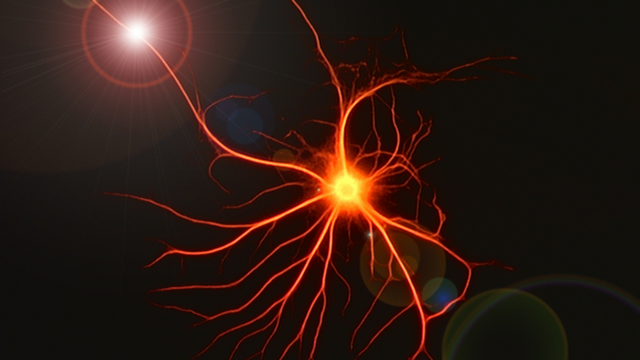 They found that astrocytes possessed elevated markers of senescence and pro-inflammatory factors. Astrocytes (red) show increased levels of senescence in postmortem brain samples from Parkinson’s disease patients. Senescent cells lose a protein (green) from their nuclei (lower panel)GEORGIA WOODS, BUCK INSTITUTE FOR RESEARCH ON AGINGIn a final experiment, the scientists made use of a mouse model that allows for the selective deletion of senescent cells, and injected them with paraquat over the course of a few weeks. Similar to human Parkinson’s disease, this resulted in the loss of dopaminergic neurons and of motor function. 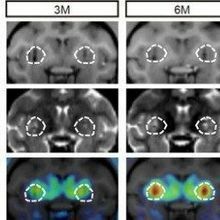 Most interestingly, the researchers were able to halt the progression of these symptoms by clearing all senescent cells from the substantia nigra. “As far as we know, this is the first time it’s been demonstrated in any neurodegeneration model that ablating senescent cells actually has an effect on disease progression,” says Andersen. This could pave the way towards developing pharmacological treatments for neurodegenerative disease that target senescent cells, she explains. However, “right now, we don’t know specifically what it is about paraquat that is inducing the senescence within the astrocytes,” says Andersen. Surmeier cautions that the rodent paraquat model doesn’t necessarily give us an accurate picture of what is happening in human Parkinson’s disease patients. 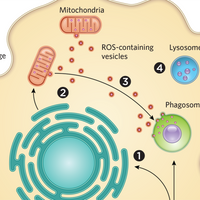 “Toxin-based models, like the one used here, have proven to be poor predictors of what will alter the course of Parkinson’s disease pathogenesis in humans,” he writes. “As for any good study, this one raises more questions than it answers,” he continues. For instance, why are dopaminergic neurons particularly vulnerable to astrocytic senescence, or does paraquat affect astrocytes beyond midbrain areas such as the substantia nigra? S.J. Chinta et al., “Cellular senescence is induced by the environmental neurotoxin paraquat and contributes to neuropathology linked to Parkinson’s disease,” Cell Reports, doi:10.1016/j.celrep.2017.12.092, 2018.